I was sitting down beside K while she was taking her afternoon nap. My helper made her papaya juice. 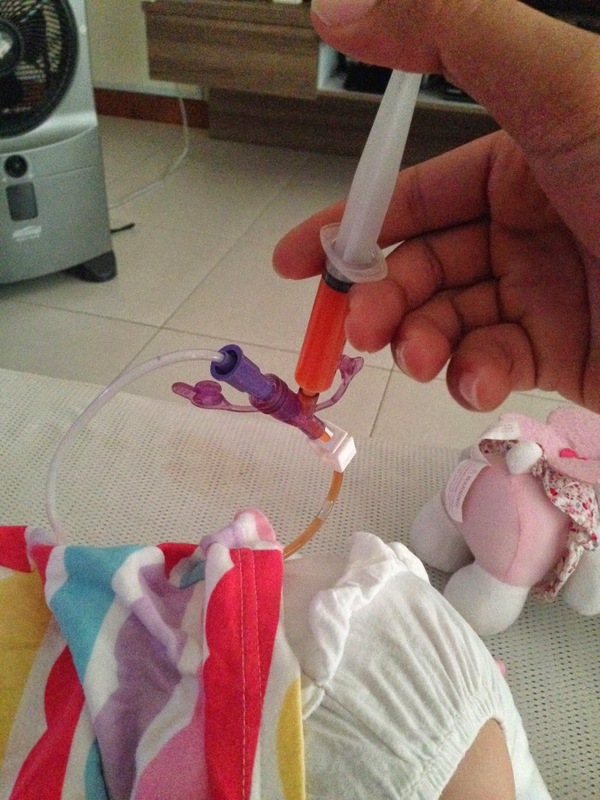 I fed her slowly using a syringe through her medicine port on her AMT continuous feeding tube. One syringe after another slowly. 6ml by 6ml. The beautiful orange papaya juice flowed slowly as I pushed on the syringe. After a short while, i started running her milk pump for her normal milk feed. I sat there smiling. I can hydrate and nourish her even while she is sleeping. The marvels of tube feeding. Not sure if my thinking is weird. But for K, that’s her norm(tube feeding).